Bridge Publications – Author Services, Inc. Established in 1981, Bridge Publications, Inc. in Los Angeles, California, is the publisher of the nonfiction works of international bestselling author L. Ron Hubbard. Bridge publishes for the geographic region encompassing North and Latin America, Africa, Asia, Australia, New Zealand and Oceania. Bridge’s sister organization—New Era Publications ApS in Copenhagen, Denmark—publishes Mr. Hubbard’s nonfiction and fiction works for Europe, the United Kingdom, CIS, India and the Middle East. 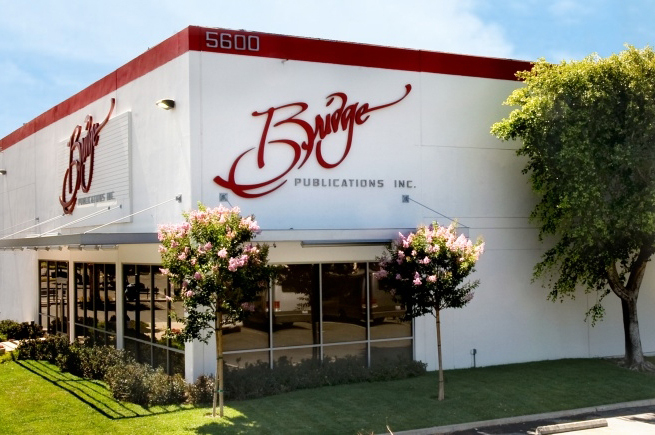 In June 2009, following the recovery and restoration of Mr. Hubbard’s written works and recorded lectures, and to once again meet the ever-growing demand, Bridge Publications brought all functions together in one location: a 276,000-square-foot state-of-the-art facility on Olympic Boulevard in Los Angeles. Today, the new building houses an award-winning and state-of-the-art fully digital in-house book and compact disc production facility, a fully automated distribution center as well as administrative offices to oversee the promotion, marketing and sales of L. Ron Hubbard’s nonfiction materials.